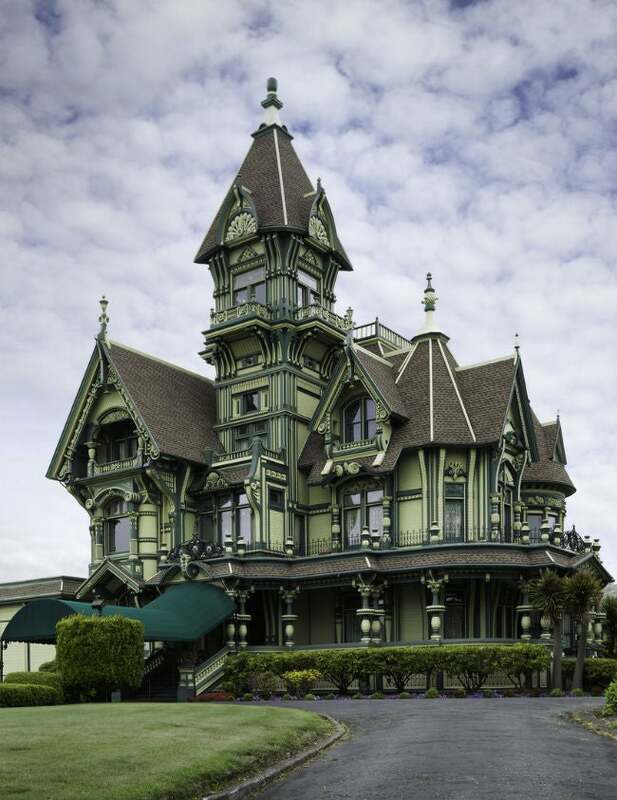 Learn about these fanciful Victorian-era homes—and what it takes to really restore one! A number of architectural styles are associated with the reign of British monarchy, but few compare to the impressive nature of the Queen Anne style that swept through America at the turn of the 19th Century. 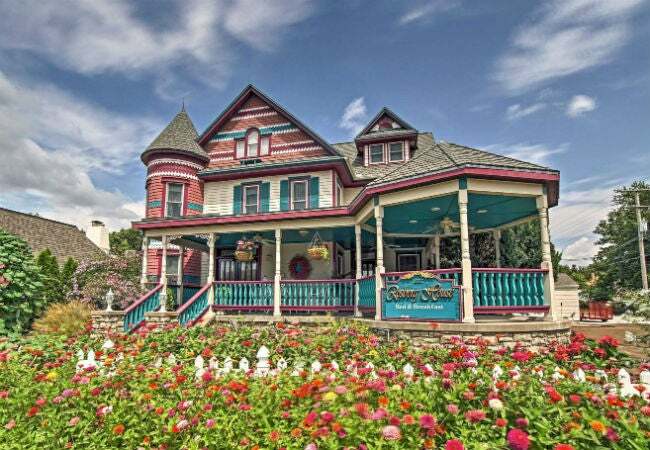 With their fanciful fairytale design and decorative excess, these homes—which dominated construction from around 1880 to 1910—undeniable regal air. In communities across the nation, stunning examples of the Queen Anne movement can still be found, and they’re just as stately and desirable today as when they were built. 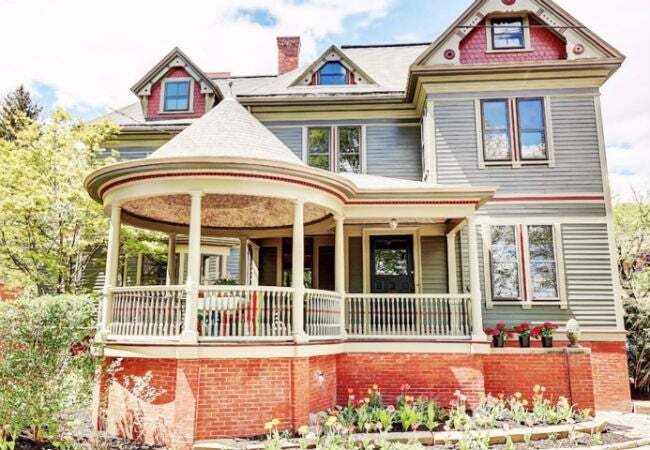 If you’re interested in owning a Queen Anne house (and taking on the often necessary restoration) or simply wish to learn more about this romantic architectural design, keep reading. We’ll fill you in on how these houses developed and discuss the considerations to take into account before pledging to purchase one of these majestic homes. Anne Stuart, Queen of Great Britain from 1702 to 1714, reigned during a time of European growth and expansion when aristocrats and wealthy landowners built impressive homes. Except for the large footprint, however, houses associated with the British Queen Anne period were rather plain, having little in common with the ornate style of the American Queen Anne house that developed later. 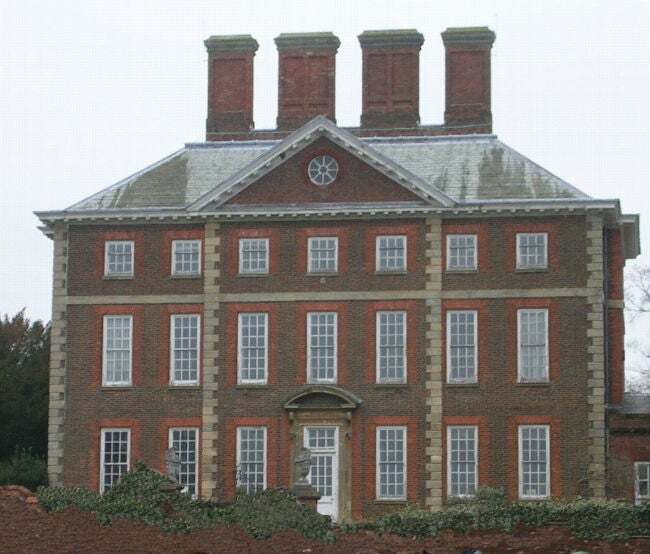 The most distinct feature of the British style was bilateral symmetry—meaning if you divided the house down the middle, both halves would be mirror images of one another. Manor-like houses of two or three stories with multiple windows along the front. Inclusion of a pediment (a triangular roof shape on the front of the house) directly over the entrance. Hip roof construction, defined as all sides of the roof sloping downward to meet the exterior walls. Masonry quoins (stone blocks laid vertically along the corners of exterior walls). Quoins were larger than the other stones used to create the structure’s exterior cladding, and they served two purposes—to reinforce the corners of the house and to add a stately aesthetic touch. Bilateral symmetry extended into the interior floorplans—room and hallway dimensions on one side of the house mirrored those on the other side. Queen Anne architectural style changed significantly when it was introduced to the United States at the 1876 Central Exhibition in Philadelphia. American architects, including Henry Hobson Richardson, a prominent New England architect, sought to combine elaborate elements from the Jacobean era (associated with the reign of King James VI of Scotland in the 16th Century), with the castle-looking towers and turrets of the Elizabethan era (named for Queen Elizabeth I of England during the same period). The impressive combination became known as “Revival Queen Anne.” Gone was the bilateral symmetry and severity that defined the British original, and the opulent new style began trending across the nation. Two- or three-storied homes with multiple and complex roof designs. Turrets and towers that give the large houses a Medieval look. Large wraparound covered porches supported by elaborate columns. Some Queen Anne’s even featured second and third story porches. “Gingerbread” architectural elements, defined as elaborate trim and embellishments. These included hand-carved latticework on the undersides of roof eaves and ornate wood balusters on porches. Asymmetrical design, such as an offset entrance combined with a large turret located on a front corner of the house. Picket fences bordering the front yard painted in colors to match the houses. Front yard flower gardens were also popular with this style. One or more fireplaces, often centered in the home or near the kitchen area. Floor plans that rarely featured a central hallway, opting instead for rooms that opened into adjoining rooms. You might have to walk through the living room and then through the dining room to reach the kitchen. While large Queen Anne mansions were reserved for the wealthy, popular elements of the style began to appear in smaller homes, known today as Queen Anne Cottages. 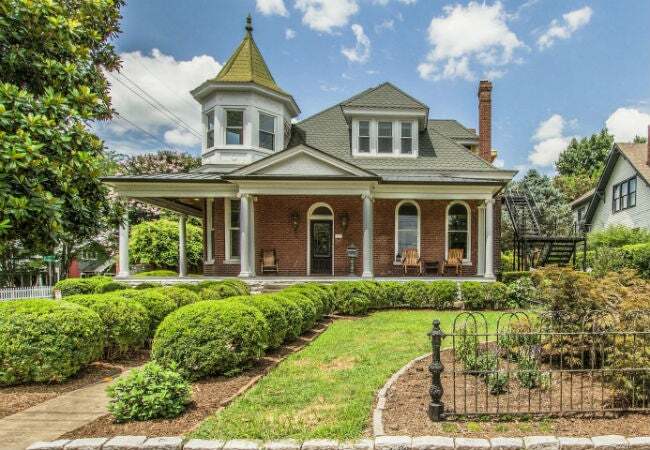 These scaled-down versions were often one- or two-stories that incorporated a few outstanding elements, such as a single turret, a wraparound porch, and gingerbread trim. Their interior floor plans were similar to other middle-class homes of the time and varied widely in design. Only the exterior design elements earned them the label of being Queen Anne Cottages. Many surviving American Queen Anne houses have been beautifully restored and can be found on tree-lined streets in postcard-perfect historical districts. Visiting them can take your breath away—and inspire you to own one of your own, even take on the task of restoring one. If that’s your dream, be aware of the few downsides. They can be money pits. The most affordable large Queen Annes need extensive restoration—that’s why the initial price may be attractive. Even if you found one in solid shape structurally, you could soon be spending a good part of your paycheck just to heat and cool a sizeable old house built when insulation was an afterthought and coal and oil were both relatively inexpensive. 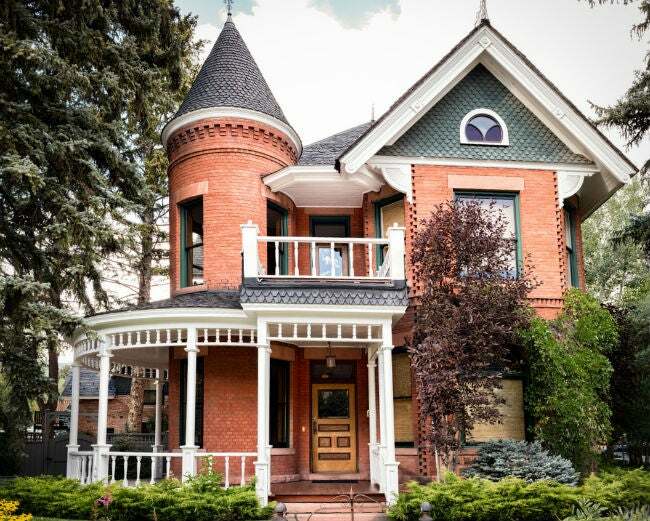 Restoring a turn-of-the-century home is time-consuming. Often, electrical wiring must be updated, walls insulated, new plumbing installed, and old windows replaced with new energy-efficient models. Unless the neighborhood water and sewer system has been recently updated, you might have to live with low water pressure, and your sewer may be more likely to back up. Many municipal water and sewer systems were installed in existing neighborhoods in the 1930s through the 1950s and a good number of them are undersized and substandard by today’s building codes. If the house still has its original siding, you’ll probably have to replace it. Narrow lap siding and wood shingles were often installed on Queen Anne houses and while they were more resilient than some of today’s siding choices, such as vinyl, after a century, most of them have deteriorated and should be replaced. 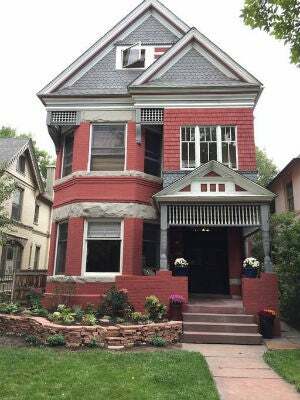 Reroofing a large Queen Anne with multiple gables and turrets is cost-prohibitive today. The cost to have a large Queen Anne roof professionally installed can run $30,000 to $70,000, or more, depending on the height, pitch, and complexity of the roof.